Dr. Thomas Kerr, PhD, is a Research Scientist with the BC Centre on Substance Use (BCCSU). Dr. Kerr is a Professor of Medicine in the Division of AIDS, Department of Medicine at the University of British Columbia (UBC), and Associate Faculty Member in the School of Population and Public Health at UBC. As well, Dr. Kerr is an Associate Scientist with The Ontario HIV Treatment Network. Dr. Kerr’s primary research interests involve illicit drug use, HIV/AIDS, health policy and service evaluation, and community-based research methods. His long history of involvement in healthcare issues in Vancouver’s Downtown Eastside includes ground-breaking work on peer-driven interventions, needle exchanges, and supervised injecting. 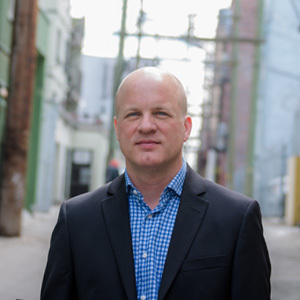 Dr. Kerr has worked closely with a number of drug user-led organizations, including the Vancouver Area Network of Drug Users, the Western Aboriginal Harm Reduction Society, and the Thai Drug Users Network. Dr. Kerr helps oversee several large cohort studies involving people who inject drugs and individuals living with HIV/AIDS, among these the Vancouver Injection Drug Users Study. An important focus of Dr. Kerr’s work has been his oversight of the scientific evaluation of North Americas first medically supervised injecting facility—Insite—in Vancouver, BC. His research in this area has made significant contributions to academic, political, and public discussion, both nationally and internationally, and resulted in over 40 peer-reviewed publications focused on Insite, including those published in The Lancet, the British Medical Journal, the Canadian Medical Association Journal, and the American Journal of Public Health. His publications in this area were cited extensively by the Supreme Court of Canada in their decision to allow Insite to continue operating. Dr. Kerr’s work impacts policy and practice both close to home and internationally. At home in Vancouver, his leadership in research on needle exchanges has helped inform the redesign of Vancouver Coastal Health’s needle exchange policies and programs. Abroad, his community-based research in Thailand has been cited extensively in reports by the World Bank and the Global Commission on Narcotic Drugs. Dr. Kerr has provided invited expert testimony to House of Commons and Senate committees, and he was an expert witness for the Missing Women’s Commission of Inquiry. He is a member of the editorial boards of the International Journal of Drug Policy; HIV/AIDS Policy & Law Review; and Substance Abuse Treatment, Prevention, and Policy. Dr. Kerr has published more than 630 scientific papers in international peer-reviewed journals and has received numerous local and national awards for his contributions to public health, human rights, and the fight against HIV/AIDS. Most recently (2016), he received the Providence Health Care, Department of Medicine, and UBC Martin M. Hoffman Award for Excellence in Research. He has also been the recipient of the Queen Elizabeth II Diamond Jubilee Medal from the Governor General of Canada, the National Knowledge Translation Award from the Canadian Institutes of Health Research (CIHR) for his efforts to promote scientific discussion on the topic of illicit drug policy, and was the recipient of CIHR’s inaugural Population and Public Health Research Milestones Initiative Award for his outstanding contribution to developing Canada’s research base for harm reduction and health equity approaches to HIV prevention and control. Dr. Kerr has also been the recipient of the Alfred R. Lindesmith Award for Achievement in the Field of Scholarship, which recognizes scholars whose personal courage and quality of published research constitute a source of inspiration in drug policy scholarship.